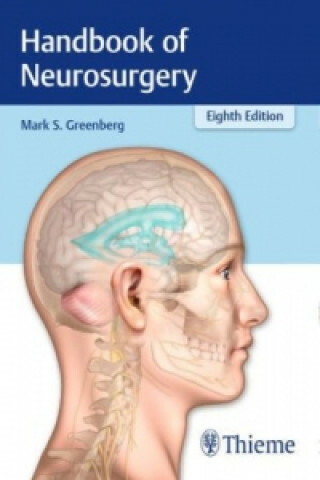 An outstanding backpack reference for day-to-day neurosurgical practice§§Now in an updated eighth edition, the Handbook of Neurosurgery has enjoyed legendary status on the bookshelf of every neurosurgery department for over a quarter of a century. Renowned for its scope and accessibility, the portable, single-volume guide is an invaluable resource for anyone involved in the care of patients with disorders of the central nervous system - neurosurgical residents, nurses, neurologists, and allied healthcare practitioners.§§This classic handbook covers the full depth and breadth of the complex field of neurosurgery - including inherited and acquired neurological disorders, developmental anomalies, and more esoteric topics such as toxins that impact the central nervous system. The text also covers conditions treated primarily by neurologists that may come to the attention of a neurosurgical care provider such as Parkinsonism, multiple sclerosis, motor neuron diseases, and dementia. The latest information is provided on anatomy and physiology, differential diagnosis, and current principles of nonsurgical and surgical management covering the full age continuum - from pediatric to geriatric conditions.§§Key Features:§§Expanded four-color graphics and illustrations§Packed with more than 1,600 pages of practical information, including thousands of literature citations, handy cross-references, and a comprehensive index§Fundamentals of neurocritical care, with a comprehensive overview of conditions - from SAH to head and spine trauma - and complications such as rebleeding, vasospasm, cerebral salt wasting, and brain death§Comprehensive and conveniently compact, this is a must-have daily reference, a perfect study companion for board exams, as well as ideal for maintenance of certification preparation. It is certain to be a treasured tome for legions of new neurosurgery residents and an essential tool for anyone working in the clinical neurosciences.